The Newest Rant: Tales From the Dollar Bin--Lightning Round of Four comics! Tales From the Dollar Bin--Lightning Round of Four comics! Usually I'll just have one tale in a post for you, my beloved readers. However, today I find myself with some dollar-bin items that perhaps don't warrant an entire post, but should still be discussed. Therefore, think of these tales as if they were, "short stories," I suppose. Although, I should mention there is a bit of an over-arching theme to all of these selections that I'll discuss at the end. A bit after Mark Millar finished his mostly-liked run on "Ultimates," and the long-delayed, "Ultimates 2", Marvel still wanted to make some money from him writing comics relating to those characters in the Ultimate Universe. Therefore, they had him do an ongoing series that was strangely split into some mini-series under the name, "Ultimate Avengers," with this issue of course reflecting the 2nd mini/arc. Whereas the initial "Ultimates" comics he did with Bryan Hitch had the best and worst of Millar's tendencies, this was just the latter AKA it was awful. It features Mark Millar--a man who I feel isn't racist but has some troubling issues with writing people of color--giving us a genius black scientist who gains hulk-like strength and uses it to become....a super-powered drug-dealer. A drug-dealer that only works with the U.S. Government so his family he abandoned doesn't learn he is still alive. His name? Tyrone Cash. Also, this issue involves a previous-issue reveal of how the Vice-President of the Ultimate Universe (whom I thought was the same as in the real world, but I guess not) is part of a satanic group that we then witness gives him ghost-rider styled powers. 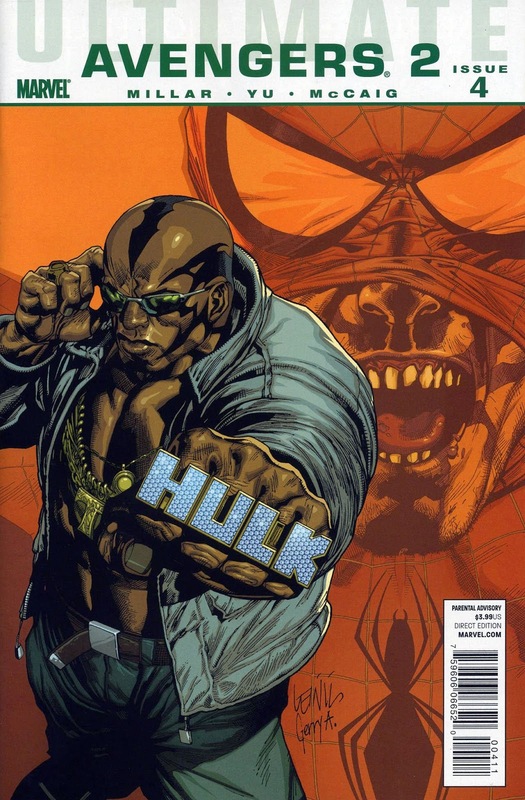 Cash is kind of like Luke Cage if he were a bad guy and the epitome of every black stereotype. Whereas with the earlier "Ultimates" comics Millar was maybe giving us some cheeky commentary about U.S. exceptionalism, here he just goes all-in on the absurdity. "Let's have a racially offensive character be a part of a team that fights a demonic Vice-President," is an idea you think would only appear in a parody comic. Yet this was all too real...and all too stupid. Big City Comics is a publisher that as near as I can tell is basically dead. The website lists "future" convention stops that are outdated by years. There hasn't been a new title from them since a comic provocatively called "Whore" about a man who does questionable jobs for money. Although, on their Facebook page, every month or so they post something as if to give that slight hint of life, with claims of things being worked on. It's sad this publisher burned out so horribly, as when they first began some kind of interesting monthly titles were coming out from them that then suddenly ended--never to be completed. They had a revival of the "Ant" character that later was mired in controversy due to its creator's actions, an Avengers-like team called, "Omega One," and some other decent stuff, like this "Tempest" comic. 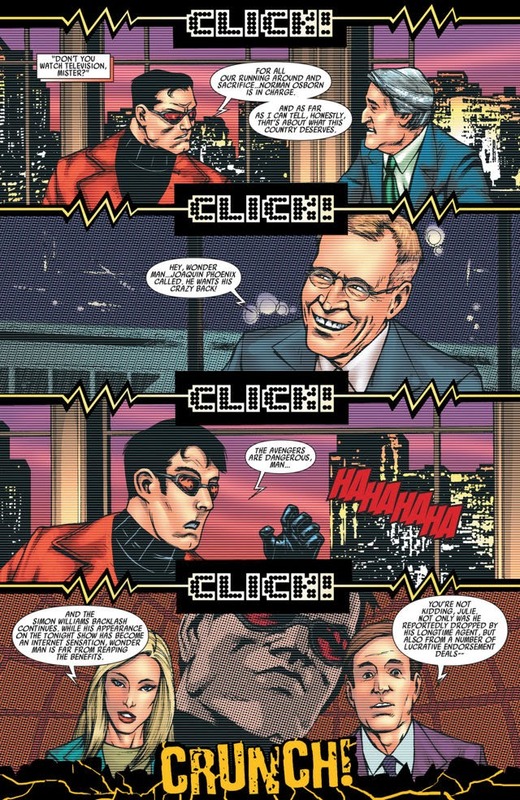 Basically Tempest was about a prosecutor-by-day (shades of the lawyer-hero Daredevil here) who was also a vampire and had to feed at least once a month to stay alive, so he only would kill people he thought were guilty. It was a mostly unremarkable comic besides in one issue where the hero (Gabriel Tempest) meets a vampire Ben Franklin, that was funny. Perhaps the fact that "Tempest" was just another okay book with passable art is one reason Big City Comics ended up failing. If you just put out, "Meh," comics you probably aren't going to last that long. Ah yes, this is one of the comics from the last-ditch attempt by DC to make their Wildstorm Universe relevant and interesting by going and blowing everything up. Seriously, they ended the world in a mini-series titled "Mark of the Beast" that was actually pretty fun and led-up to by other comics. After that, everything got relaunched and when DC could tell this new effort just wasn't working they folded Wildstorm into the main DC Universe after "Flashpoint" created the New 52 Universe. 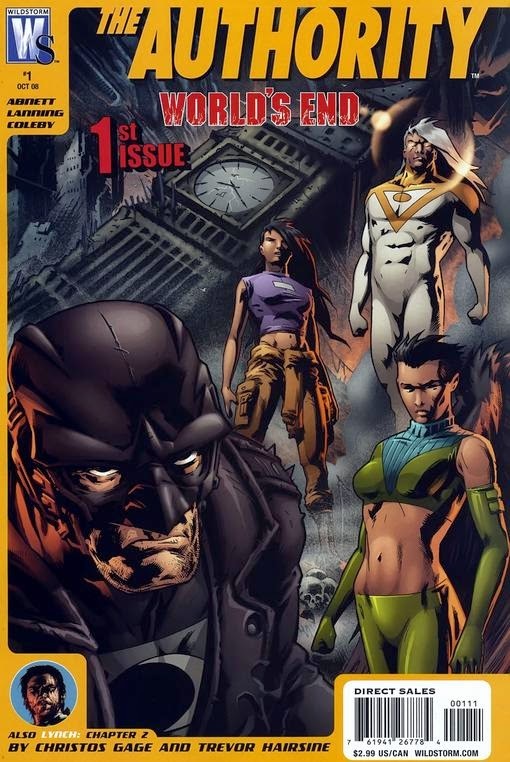 Still, it is interesting to think back to when Wildstorm was that little imprint-that-could created by Jim Lee for Image, then bought by DC and treated as its own unique Universe that created some admittedly stellar comics. Before long of course it then petered out, ending a weak shadow of what it once had been. So, it sounds like a sports metaphor for that athlete who is amazing in college (the first publisher, Image), signs a contract with a pro-team, and then despite once being impressive can't deliver despite various attempts at different teams (e.g. big events such as this last one that destroyed the world). Yup, Wildstorm basically is a slightly more successful Tim Tebow. Despite it not really being an event-comic so much as a general "event" that many comics tied into, I kind of liked when "Dark Reign" happened. At the end of the otherwise dull "Secret Invasion" Norman Osborn becomes a hero and then proceeds to persecute super-heroes and otherwise be a huge jerk. It eventually culminated in the truly awful "Siege" event, but before that we got some good stories in a variety of ongoing comics, and via some mini-series, of which "Lethal Legion" was one. 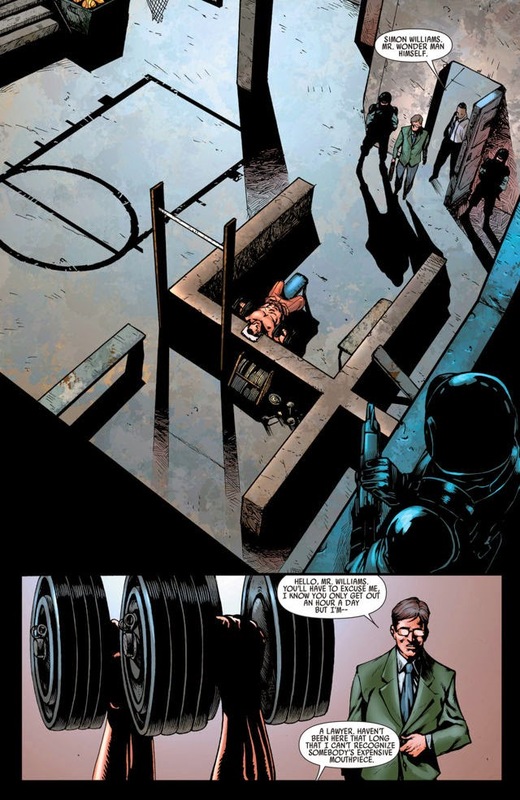 Basically a team of baddies were able to abduct Norman Osborn, but got caught, and now are in prison at "The Raft", which is a facility for super-powered offenders. It is thought someone betrayed the team, and at the end of the first issue we see one member of this group was surprisingly enough Wonder Man himself, Simon Williams. In this issue it is explained how when he spoke out against Norman Osborn people mocked him, making it so that when his long-time evil brother came over one night with an idea, it sounded appealing. Thinking himself like Captain America when would recruit current and former villains (after all, even Hawkeye used to be a criminal), Simon and his brother (villain name, "Grim Reaper,") get some villains, and kidnap Norman Osborn, as we see in some recollections of what happened. Of course, as they are now all in prison something clearly went wrong. The next and final issue reveals Reaper himself--the one who had the idea for the team--was actually behind it all, but I enjoy this issue because we see Wonder Man in a way he normally isn't seen, angry and doubtful. A bit later once "Dark Reign" ended Williams would be written as a raving lunatic who hates the Avengers but actually makes some valid points about why they are bad in two "Annuals," before then taking some time off and coming back eager to be an Avenger again, apparently. Still, this mini-series--and this issue in particular--showed me one reason I enjoy reading about Wonder Man. Namely, despite all his power he is deep down only human, and prone to trusting those he shouldn't (his brother) or overestimating how much good he is capable of doing. The recent "Uncanny Avengers" run that had Simon Williams on the team touched on this just a little bit, but this barely-remembered mini-series from an event a majority of folk disliked actually showed me the side of Wonder Man I find most fascinating. Funny how that works out. I told you that despite all being very different comics I did have an overall theme I was thinking of with each title I've discussed here today. I'll now tell you how I was thinking that all of these titles grew out of other much bigger things and did not achieve as much success as what came before or was the main event, but were at least interesting (with some even being good too)! 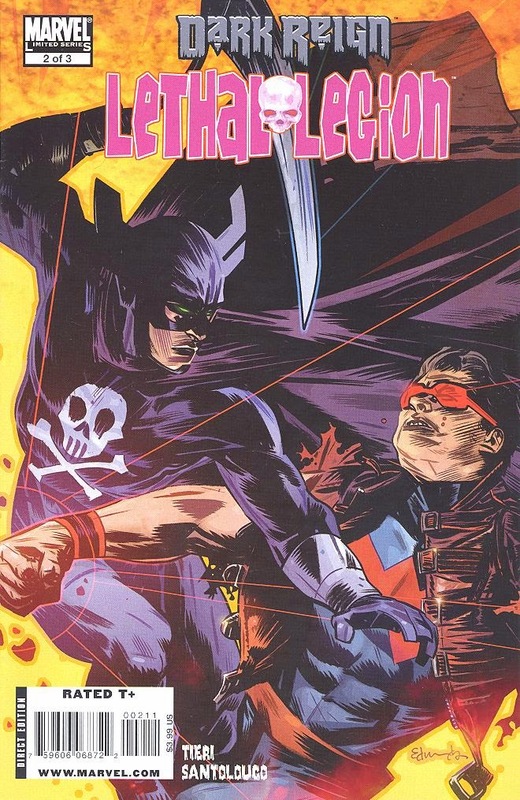 "Ultimate Avengers" and the "World's End" comics failed to do the big bucks the titles before them did, and "Lethal Legion" was a barely-read mini-series in a large event, but still quite good. Oh, and "Tempest?" That is an example of a comic from a publisher that grew out of the optimism in the mid-2000's that having a comic book was just the first step to millions of dollars of success (remember when everyone thought making your movie idea a comic-book first was a good business strategy?). Of course, the economy tanked in 2008 and it became clear that just because something came from a comic book that didn't mean it was going to succeed (Unless it was from Marvel, which interestingly enough began making absurd money thanks to "Iron Man" and its 2008 release). My point then, is that for every big thing, little things can grow out of it, some succeeding more than others, but in this case all being lesser-known...tales from the dollar bin!